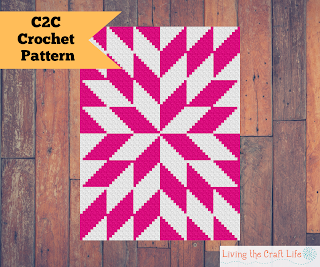 This next C2C design is very much inspired by quilting. I love searching Pinterest for fun quilt designs. I secretly wish I could be a quilter. I love how fast quilting works up. But, I love the versatility of Crocheting. If you follow my Instagram, you'll see the various places I take my crocheting, to soccer practices, Dance practice, waiting in lines for the Dr... and you can't really do that with a quilt! I'm too much on-the-go to have quilting be my craft right now. That's why I LOVE crocheting. 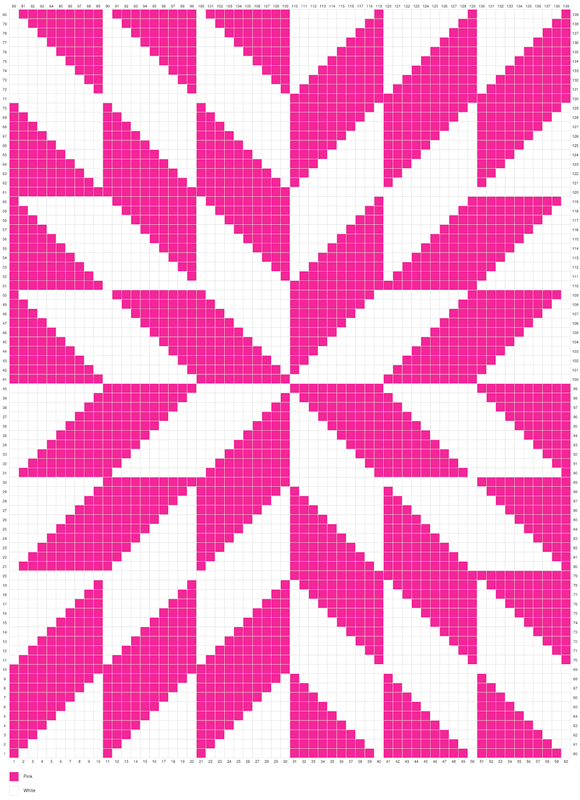 This design I call the STAR BURST blanket. This is similar to the Herringbone design but with a fun twist to it! *Disclosure: This post may contain affiliate links. If you purchase an item through one of the links on this site, I may receive a small percentage of that sale at no additional cost to you. See my full disclosure policy.Thank you for helping support this blog! With this graph, you can make it in the color listed, or exchang for another. Gauge not essential, C2C Crochet a triangle 8 blocks high. 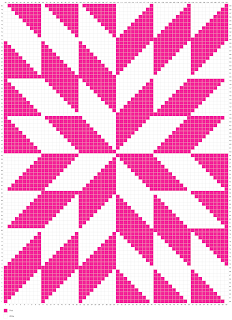 If your triangle measures 5.5” tall, your project will end up being 40”x 53”. If you are interested in receiving written out instructions for this blanket, I have a PDF version for sale that include right handed and left handed versions. Click here to purchase the PDF written out instructions! I hope that you enjoy this pattern! Remember to tag me on Facebook or Instagram to show me your finished products!